Everyone knows scholarships save you money, but not every student understands how accessible scholarships really are. In federal financial aid alone, $2.6 billion went unclaimed for the 2018-19 academic year. The overall process of scholarship applications is fairly simple–all you have to do is find scholarships you qualify for and apply. In the case of financial aid, filling out the FAFSA means you have applied for all federal funded student aid. However, not all scholarships can be found in the same place, so you’ll have to do some digging and maximize your available time. If you’re in high school or community college, start by talking to your guidance counselor. They will walk you through the process of distinguishing the different types of scholarships and how to determine whether or not they are a good fit for you, as well as how to apply for them. “[To start], we usually are identifying what type of scholarship it is that they’re looking for, is it merit based? Or are they looking for specialty programs? If they’re looking really to add some financial cushion, then we’re looking at those independent scholarships. So we try to narrow down their interests to help guide them in the right direction,” said Amanda Smith, Director Of Counseling at Jesuit High School. Based on what you’re looking for, start with a list of scholarships you want to pursue and apply for. 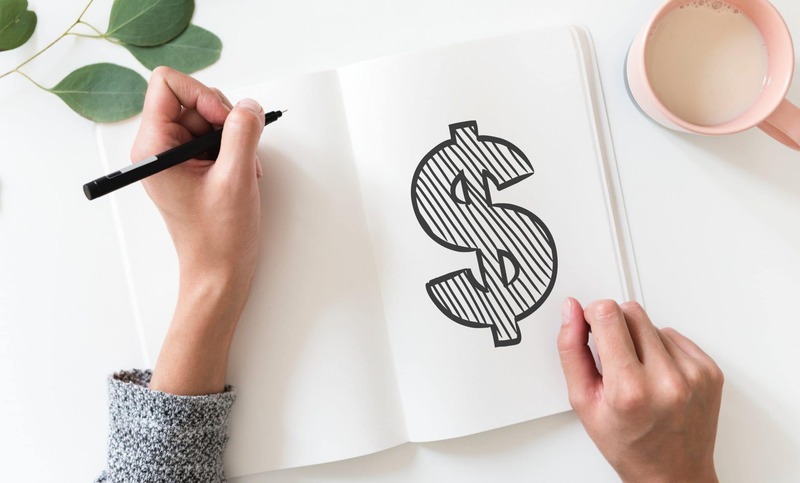 Angela Harger, Counselor at Jesuit High School, explained how merit-based scholarships will often be your most profitable scholarship endeavors. “I usually start [conversations with students about scholarships] by making it pretty clear that the biggest scholarships are going to be the merit-based scholarships from the colleges themselves, which are based really on their grades and test scores,” said Harger. Due to the profitability of merit scholarships, you’ll want to focus on these funds first. Often, merit scholarship applications are built into the college application itself. But, you may need to meet certain deadlines with your application in order to be considered for scholarships. Some merit scholarships will require an interview, participation in campus engagement, or additional information after your college application is submitted, so make sure you meet any priority deadlines and fulfill any requirements your school may have after submitting. You can also contact the university you plan to attend and check in with the financial aid and scholarship department to get more information on what is available, what you qualify for, and what the deadlines are. After finding scholarships at your chosen college, there are many private and independent scholarships. Expand your list of potential scholarships to your community, network, and affiliated organizations. “It gives students a better chance to be offered a scholarship if it is local. Any affiliations that the student has may provide opportunities,” said Ivonne Kossik, Assistant Director of Scholarships at the Community College of Denver. Affiliations that may offer scholarship opportunities to students may include any clubs, sports, or religious organizations with which the student is involved. Companies that the student or their parents work for, or banks that the family uses can also be good places to ask about scholarships. You can also search for scholarships through search engines like Peterson’s scholarship search, which allows you to customize your search based on what you’re looking for. However, when web searching, be weary of any fees that are required to apply for a scholarship, as Kossik and Smith warned these are often illegitimate. Peterson’s search is optimal, as the list of scholarships are heavily vetted to filter out scams. Often, high schools and community colleges will post local scholarships on their website, or send them out in messages to students. These are often a good place to find local scholarships because the school will sort through scholarships to make sure they are worth the students time. “We’re looking at [scholarships] to make sure that they’re worth the energy and time that is being spent to apply for these, because there are several that come through that are for a smaller amount or it’s such a large market that they’re reaching out to that the chances and the work that they’re putting into that might not be fruitful for them. So we’re trying to help guide and put their energy in the best resources we know,” said Smith. When looking through scholarships to apply for, make sure your list is manageable. Decide first which scholarships make the list by determining eligibility, or if you’re qualified for the scholarship based on requirements. Kossik advised not wasting time by applying to scholarships you don’t qualify for, even if you’re only missing, say, a fraction of a GPA point. This is because you will likely be disqualified from the scholarship before your application is even reviewed. The second factor in narrowing your search is probability, or the likelihood that you’ll be awarded the scholarship. Again, searching for scholarships that are local and targeted towards a reasonably small group of students that includes you are best practices for finding scholarships that you’re more likely to receive. “Stackability,” looking for scholarships that can be used in conjunction with one another, is also a component of scholarship searching, but can get confusing. While most private and independent scholarships are stackable as they provide smaller funds, not all can be used in collaboration with your chosen university’s merit or financial aid scholarships. “Navigating the stackable versus not and how that works in with financial aid, that’s always a big component,” said Smith, who admitted this can be tricky, and that it’s best to talk with your counselor to determine what scholarships can be combined. Once you’ve determined which scholarships you want to go after and begin your application processes, organization is key. “Create a calendar with different deadlines, different requirements for the scholarships. Create folders with transcripts, thank-you letters, and have a base essay handy,” said Kossik. The base essay Kossik refers to is an essay or outline that drafts responses to common scholarship essay prompts. These essay prompts are often an expansion of the personal statement-style essay you may have already written for your college applications. “Often there’s parts that are similar [to the common application essay] but they ask their own questions–it’s kind of like a supplemental question. They already know the basic gist, they want to know the specifics about a service project or what entrepreneurship opportunities has [the student] had,” said Smith. So, while each scholarship application may have it’s own specific questions, outlining specifics about your experiences that apply to the scholarships your seeking and drawing from your personal statement will help you get started on these essays instead of starting from scratch each time. Utilizing the thousands of scholarships that are available to students every year is a productive use of time as scholarships can make college much more affordable. While the process comes with many deadlines and can involve a lot of writing, students are able to chip away at their tuition bill by taking advantage of these great opportunities.